Along the northern coast of Tanzania, an innovative approach to development combines efforts to conserve natural resources with reproductive health services and sustainable economic opportunities. In Healthy People, Healthy Environment, three women from the Pangani and Bagamoyo districts – Rukia, Mahija, and Fidea – show how these integrated population, health, and environment (PHE) projects empower them to help their families, their communities, and their environment. A co-production of the Woodrow Wilson Center and Think Out Loud Productions. 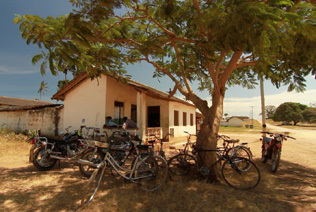 Filmed on location in Pangani and Bagamoyo Districts, Tanzania. Each village we visited reinforced the complex nature of the challenges in Pangani and Bagamoyo. Although consumption is miniscule compared to Western standards, the rapidly growing number of people dependent on the extraction of local natural resources – trees for fuel, fish for subsistence – is unsustainable in the long term, both economically and ecologically. 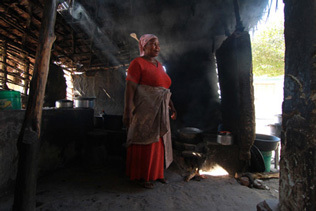 Clean cookstoves – one component of this PHE project – have clear benefits: They reduce household exposure to indoor air toxins, help lower reliance on firewood from the surrounding forests via better efficiency, and provide an income-generating tool for women and families. Healthy People, Healthy Environment is the recipient of a 2013 Silver Telly Award for outstanding film/video. With nearly 11,000 entries from all 50 states and numerous countries, this is truly an honor.